The first week into my solo journey to the farthest northern stretch of Alaska, I was cursed with bright sunlight, and 80+ degree temps. The friendly weather was a curse, because it meant contending with the hoards of insects flying into my mouth and biting at every exposed piece of skin. But that second week, the rain poured and poured, and when backpacking, I inevitably got wet- either by rain water sneaking under my Gore-tex garments, or by sweat inside my clothes from the physical exertion. And when one gets wet in an endlessly wet environment, one stays wet, since the damp clothes find no way of drying. I wanted to sun again. The trickling brook I followed for a couple days, turned into a large creek, and then widened into a massive river bed. A huge chunk of glacier blue ice clung to the lower reaches. The landscape here felt far more primal than any I have been to thus far. I let my imagination entertain me for a while, and soon, mammoths and wooly rhinoceroses materialized from the rainy mist. Surely, the few ice-free corridors of Pleistocene North America must have felt like this when the first settlers crossed the barring strait and into the new world 13,000 years ago. My eyes scanned the crumbling embankment, searching for some clue- would it be too much to ask for a mammoth tusk? 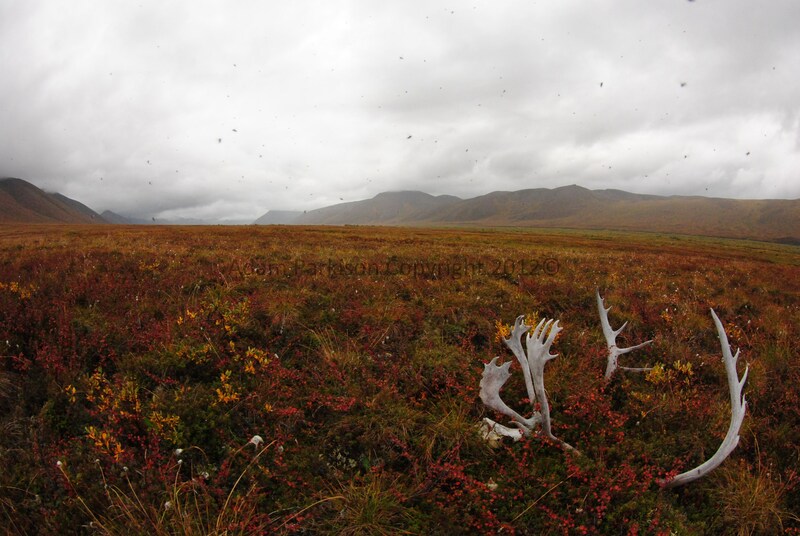 I found instead, fresh caribou tracks fleeing across the river bank, and even fresher wolf tracks alongside those. During my walks, I would be lulled to a sleepy dream-like state from the constant pattering of rain drops on my jacket hood. During those times, I hardly looked into the distance, since I had not seen very many large animals anyway. 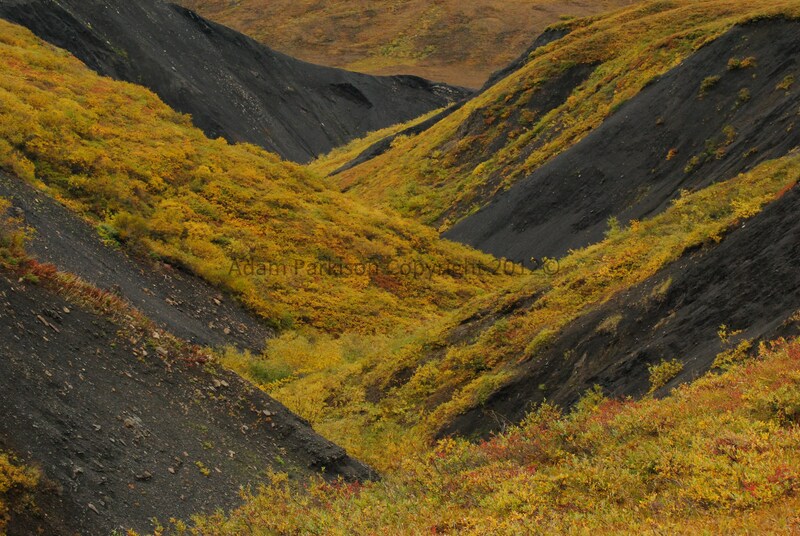 I should have paid closer attention; when in the daze, I would suddenly stumble on the tundra tussocks, or slip on a wet stone- as if to draw my attention to the life around me, no matter how small and obscure. I would look up just in time to see a golden eagle soar from his home on a cliff overhang- or glimpse the fire-red heads of a maternal group of merganser ducks disappear in white water rapids. Everything was new and exciting, even if the life I encountered wasn’t large, or opposing- simply having a carpet of blue berries under every step made me feel like I was living in some fairyland. 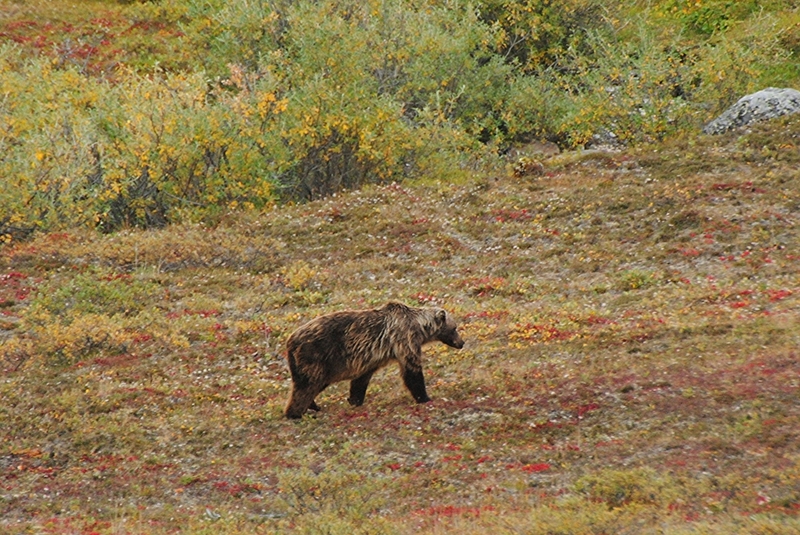 Of course, I wanted to see a grizzly more than anything, and that longing must have brought an encounter into reality. One afternoon, after setting up camp on a freezing cold ridge, the clouds cleared enough for me to go on a walk. Since the sun was always up, I decided now was a good time as any to look for animals. Two hours after walking up a drainage I had always wanted to see, I turned back to my camp, hungry and empty handed. As I was maybe a quarter mile away from my yellow tent, I noticed a strange blob just down hill from it- a blob I hadn’t previously notice. 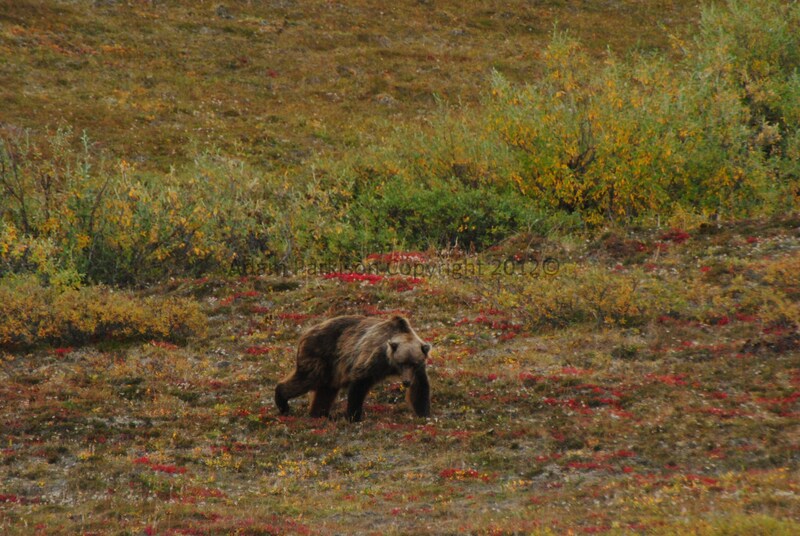 As I brought up my small binoculars, my heart started beating fast, as a huge grizzly materialized in my vision. She- I assume it was a she- was just getting up from her day bed to stretch and move around. 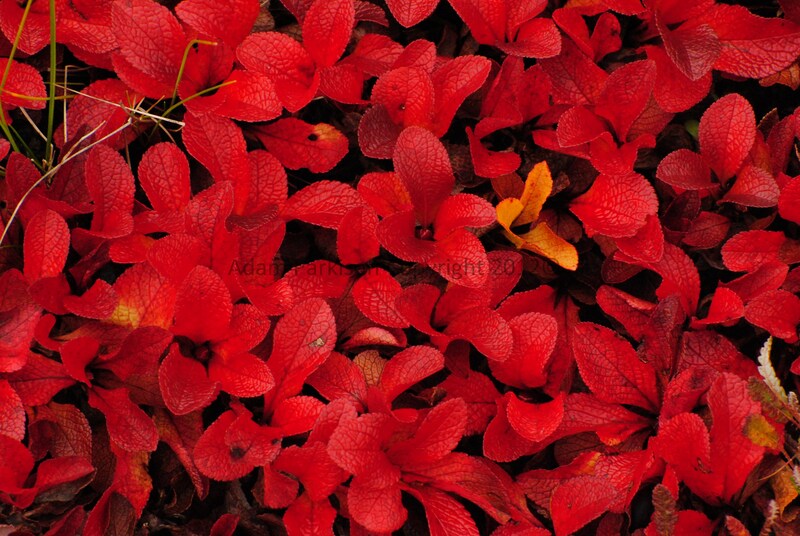 BY the time I ran back to my camp above her with my camera gear, she was gone; laying down once again in the small bushes bellow me. I would not have known she was there if I had not seen her move. So I decided to wait, knowing she would have to move eventually. Three hours passed, before I caught sight of her standing up bellow me and walking toward an open hillside to feed. I ran, with as much courage as I could muster, and crawled behind a big rock pile that I knew would put me in a position just beside where she was heading. 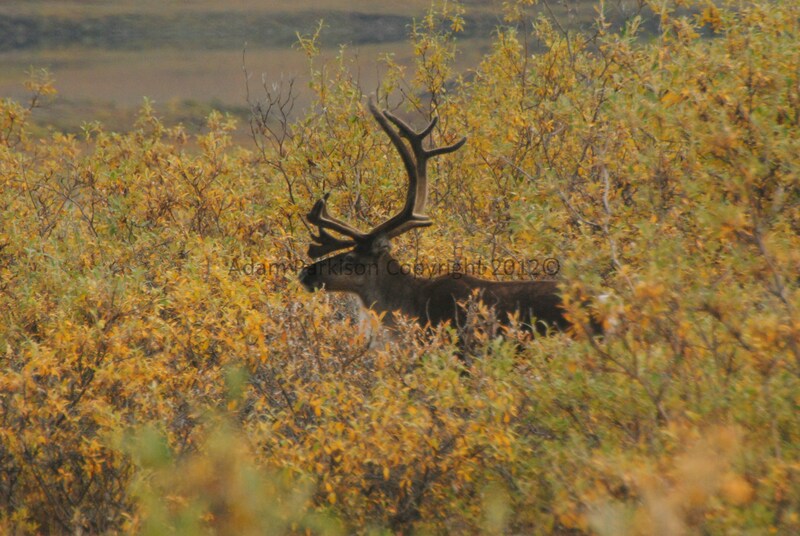 I had not seen her during my stalk, and now, peering over the edge of the rock pile, the anticipation of seeing her at a close range was too much to bare. Sure enough, there she was, only a mere 150 yards away from me. The next hour or so, was spent in intimate observation. I photographed, and sometimes just sat in awe and watched her as she went about her business, doing bear things. She was unbelievably beautiful- and all the more beautiful that she was completely wild. It occurred to me that out there- far from anywhere- I might have been the only human being to see that particular bear. And she might not have even had a name- or at least not one given by man. But of course, this was wishful thinking. Still, the encounter was one of the most amazing of all animal encounters I have experienced. It was the kind of stuff of a boyhood dream. The bear encounter left me on a high for days, even with the constant rain. On my return to the Sag, I met a couple rafters on a big float/ hunting trip, father and son, Barry and Cal. When you meet people far off in the bush- wherever you are in the world- its easy to find you have much in common. Within 5 minutes we were chatting like old friends. We had all had similar adventures in the wild, and even more similar dreams of future adventures. Before parting ways, Barry asked if I needed anything, food? Beer? Immediately, my mouth watered at the idea of extra food. My mind traced back the last week of carefully rationing my bland supply of granola and dehydrated milk. But in the moment of truth- I was too embarrassed to ask for any. Barry looked at me for a second, and must have known something was up… Before I knew it, he was throwing a mountain of junk food at my feet. The last item was a Redd’s hard cider… the 8% alcohol version. I saved the drink for midnight, and let it send me to a fitful sleep. 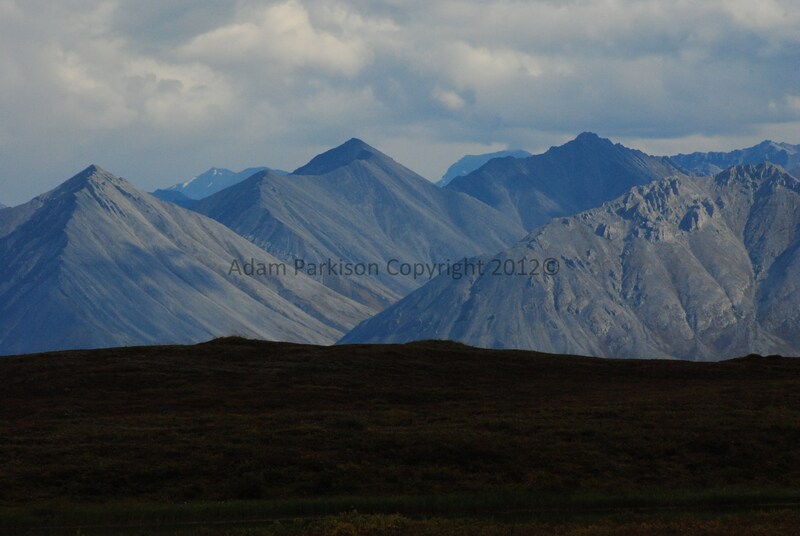 With my food supply restocked, the rest of my trip toward Atigun pass and Galbraith lake went by like a breeze. And like all great adventures, those last difficult days of cold, loneliness slipped out from under me, before I had time to slow the inevitable ending. Like a whirlwind, I was heading back to Fairbanks on the shuttle van, driving through brilliant sunlight, leaving 12 days of glorious, Arctic adventure behind me. This of course, was after the night at the Galbraith Lake campsite party, where a group of tourist hikers on an organized trip at first took me for a lone axe murderer, then, feeling sorry for my wet-dog like appearance, invited me into their coveted campfire inner circle. A loner by nature, I found myself soon chatting away with the best of them after 12 days alone. Beers were past, smores were devoured, and before I knew it, I had a whole lot of new friends. 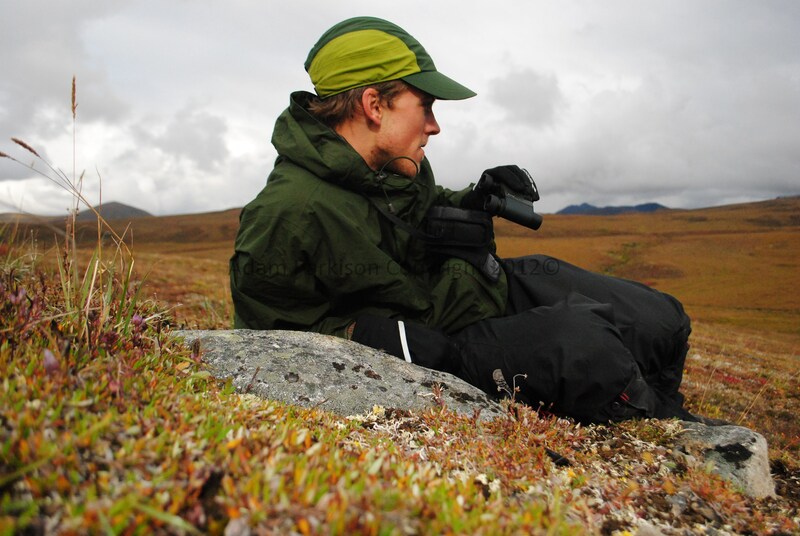 The groups guide, 20 year Alaskan veteran Jody Young, must have somehow sensed the state of my dietary habits the last few weeks, and filled me with granola bars, bread and cheese, and coveted hot coffee. I was sad to see my new friends go the next day, while I waited for my own shuttle van pick up. A few hours later, I was at the Coldfoot Camp. By now, even the hundred miles or so south I had travelled since leaving the North Slope earlier in the day felt like a lifetime. I obsessively reviewed the photos I had taken the last two weeks- especially those of the grizzly- trying to convince myself I was actually there, and I was the one who had taken the photos. The long nights of endless sun, where I agonized over thoughts and worries of my little family back home- my girlfriend, Chelsea, and her little boy, Rudy- now seemed not as difficult as I know they must have been. Dried out in my puffy down coat, with a cup of warm coffee in hand, I hardly needed to think about the unrelenting wetness I had to live through those dreary days and nights. 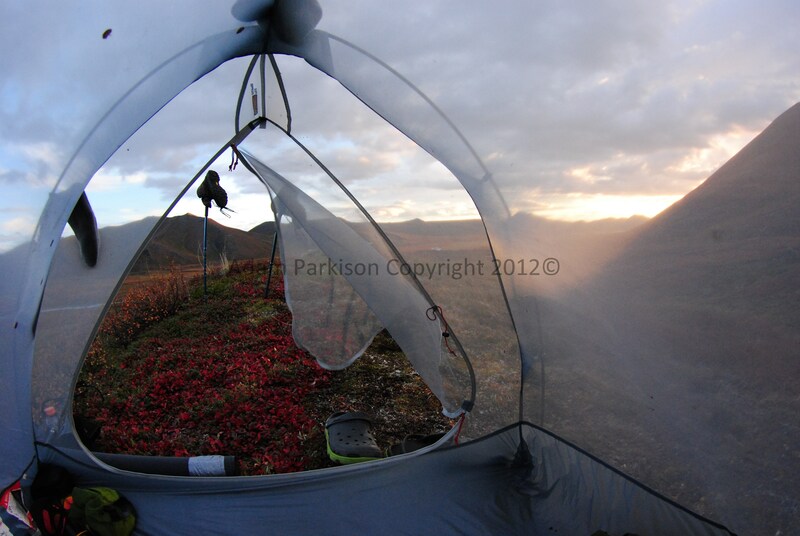 A Dream Realized: A Solo Expedition in the Brooks Range, Alaska. Part 1.